With a warm cinnamon roll scent, High Gorgeous Nice Buns Cellulite Treatment firms the skin and seals in moisture with properties of espresso, witch hazel, cinnamon oil, essential oils, shea butter, and cannabis (of course). Plus each lotion is paraben free and vegan friendly, so you can feel really good about what you’re using on your skin. 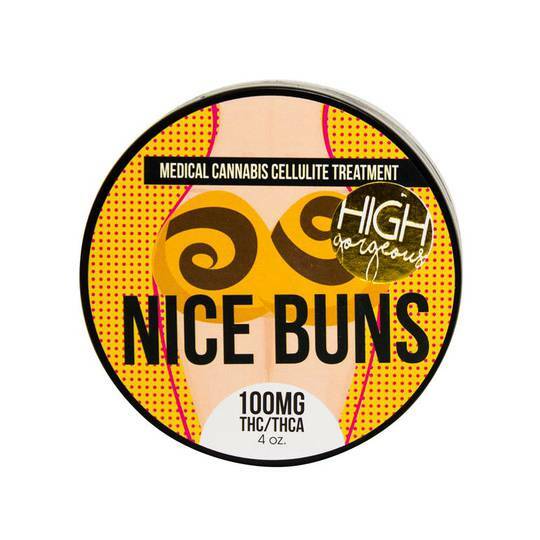 This rich, infused cellulite treatment with the healing and tightening properties of cannabis, cinnamon and caffeine, won’t last long so he sure to stock up while you can!